The new platform, called UroNav, fuses MRI and ultrasound images to give doctors greater accuracy in finding and targeting cancerous lesions in prostate. Upstate becomes one of only a few sites in the country to use this technology. Already home to Central New York's only 3-tesla MRI system, Upstate's latest addition of leading-edge technology allows doctors to harness the information gathered by an MRI and pinpoint exact locations of difficult to find prostate cancers. 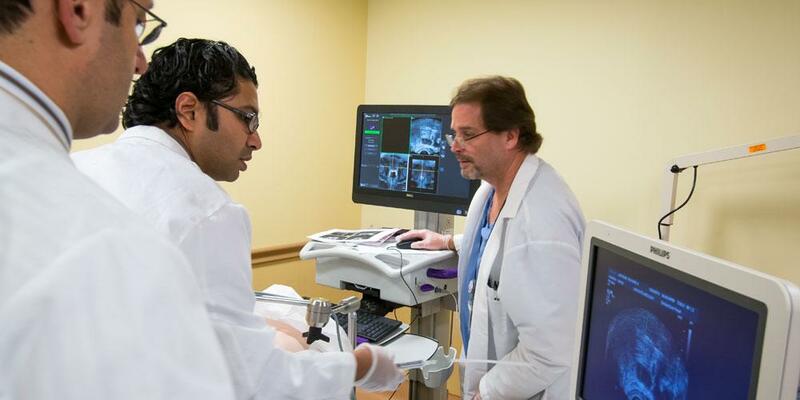 In a process known as fusion MRI ultrasound biopsy, sophisticated software algorithms fuse the ultrasound and MRI information, creating a comprehensive picture of the prostate. This allows for a more specific, targeted area for biopsy. The technology incorporates precise knowledge of the needle location within the prostate, and using a technology similar to GPS navigation it directs the biopsy needle to the heart of the of the suspicious lesion. Compared with the traditional biopsy technique that uses random prostate sampling, the new technology helps to avoid missing hard-to-find and often aggressive prostate cancer, and potentially helps to give greater certainty as to the extent and aggressiveness of the disease. Combined with the most modern MRI imaging (available only at Upstate) it also allows patients to avoid unnecessary repeat prostate biopsies. 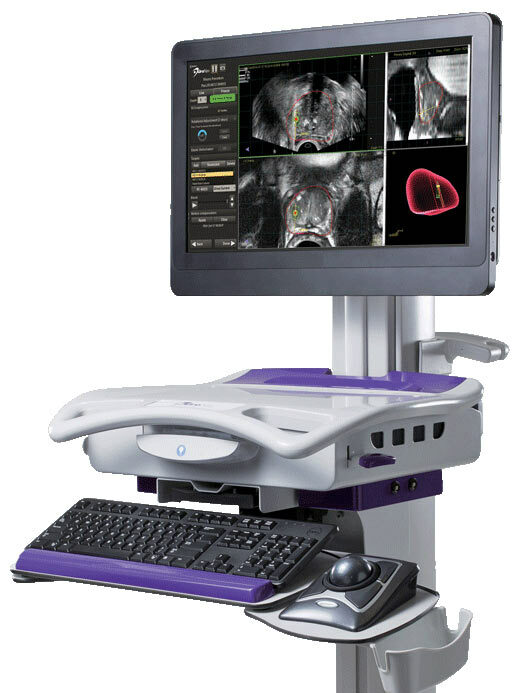 With the new UroNav fusion platform, patients at Upstate can now make more informed decisions from prostate cancer diagnosis to treatment options, such as active surveillance or more radical interventions.